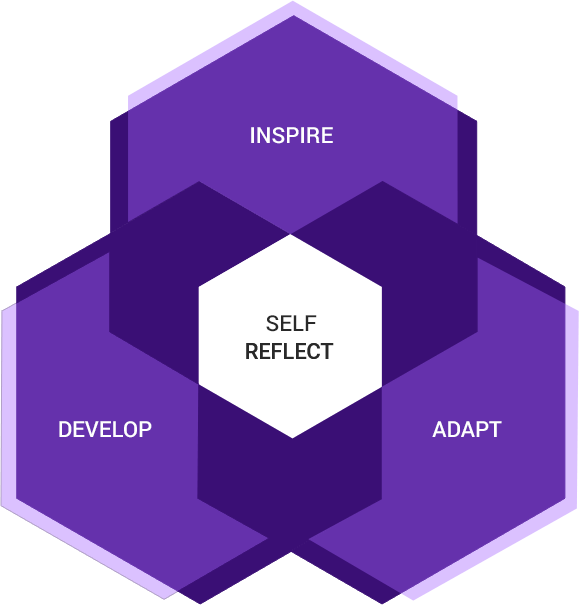 Our Evolutionary Development Model emphasizes the attributes that leaders need to embrace in order to navigate organizational change in the digital age. This model provides a roadmap to focus leaders on priorities for success. The capacity to exercise introspection and the willingness to learn more about oneself. To inspire, adapt, and develop, evolutionary leaders constantly invests in their own self-awareness. Not only does this make them vulnerable to change, but they view self-acceptance as a necessary step to fuel continuous growth. 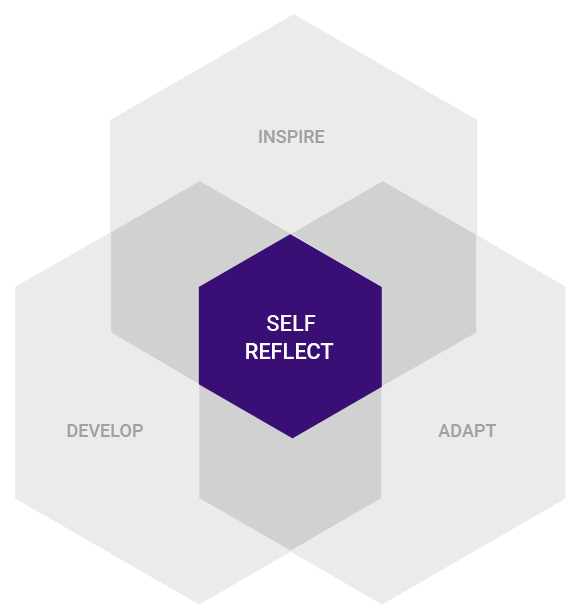 Through self-reflection, the evolutionary leader creates the internal capacity to inspire, adapt, and develop. The ability to create energy, motivate others to action, and invoke positive emotions. Evolutionary leaders must be able to show the way even when they don’t know the scope of the full journey. Uncertainty and ambiguity make the end-point unclear, but the aspiration that guides a leader’s vision must be clear. Inspiration generates intrinsic motivation and internal energy because it connects individual purpose to a larger purpose. The ability to foster disruption, modify, and make things suitable for a new purpose. The ability to master complexity, grow personally, and cultivate growth in others. Crowdsourcing, co-creation, the sharing economy, and the increasing uptake of network models throughout the value chain make the ‘Develop’ pillar of the evolutionary leadership model critical to an organization’s ability to generate sustainable growth. Through this model, evolutionary leaders develop their own, and their organization’s capacity to manage complexity, which, today, is in many ways relational. Leadership development should entail the full span of Influence; Mindset, Behavioral, and Processes. Unlike many other development models which focus only on behavioral changes, we also address the mindset shifts that drive changes in behavior and the resulting processes that create change throughout the organization. Full service strategy development and implementation by our seasoned leadership and organizational development experts. We conduct surveys/focus groups to validate senior leadership perceptions and create buy-in. We create project plans with clearly defined milestones, roles, and responsibilities.